Place the first five ingredients in a food processor; cover and pulse until fine crumbs form. Gradually add melted butter, pulsing until combined. Press mixture onto the bottom and 2 in. up sides of prepared pan. In a large bowl, beat cream cheese and brown sugar until smooth. Beat in sour cream, Kahlua, flour and espresso powder. Add eggs; beat on low speed just until blended. Pour into crust. Place springform pan in a larger baking pan; add 1 in. of hot water to larger pan. Bake 55-65 minutes or until center is just set and top appears dull. Remove springform pan from water bath; remove foil. Cool cheesecake on a wire rack 10 minutes; loosen sides from pan with a knife. Cool 1 hour longer. Refrigerate overnight, covering when completely cooled. 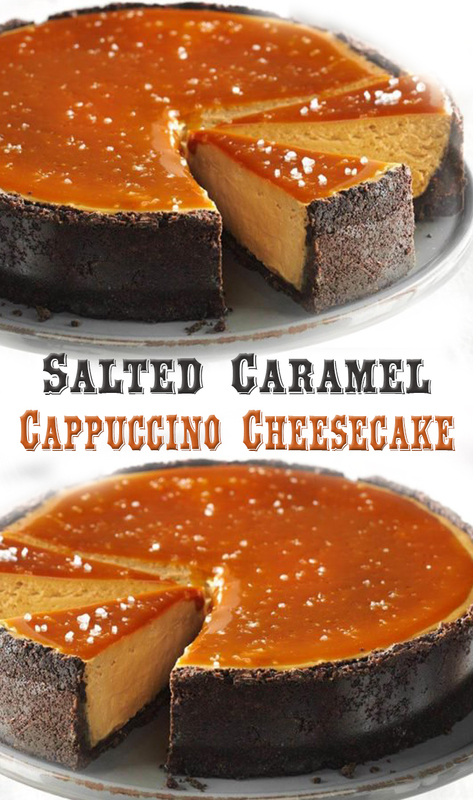 Pour caramel topping over cheesecake. Refrigerate at least 15 minutes. Remove rim from pan. Sprinkle with sea salt just before serving.